Tamil Nadu has been fighting now the most devastating flood in 100 years. The city is turning into an island. People can be seen stranded everywhere in the state and constant rains are adding more to the havoc. 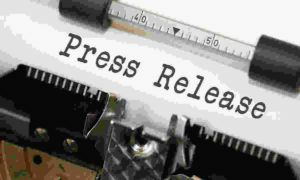 The flood has so far claimed over 300 lives and thousands have lost their shelters and valuables. Amidst the crisis, NDRF, Army and IAF have been deployed to lead the rescue operations. Though, the water levels are receding, people are told to leave for the shelters made to accommodate them. In the time of crisis, heads of different states have extended their support to the Tamil Nadu and offered all kind of aid possible. 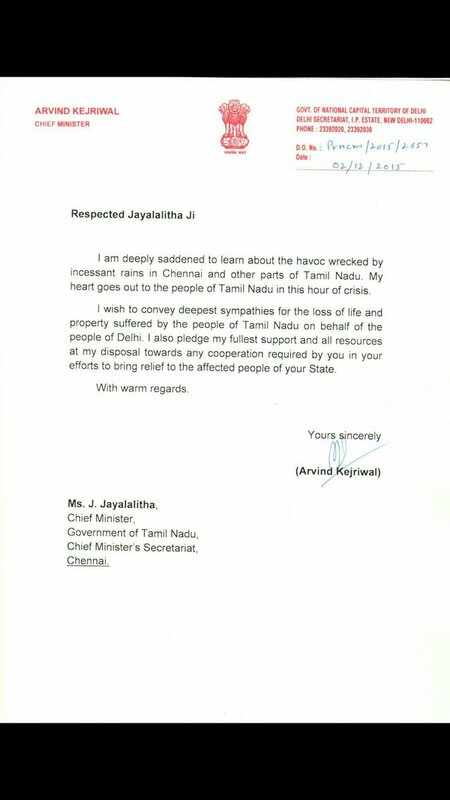 After Bihar CM Nitish Kumar, Delhi CM Arvind Kejriwal wrote a letter to Tamil Nadu CM Jayalaitha and assured her every bit of support in the time of calamity.